Luxury Brand Diane Von Furstenberg has ditched mohair following an exposé of the industry by animal rights charity PETA. The company has joined more than 240 brands worldwide that have already pledged not to sell material, including Gap, Banana Republic, H&M, Topshop, and Zara. 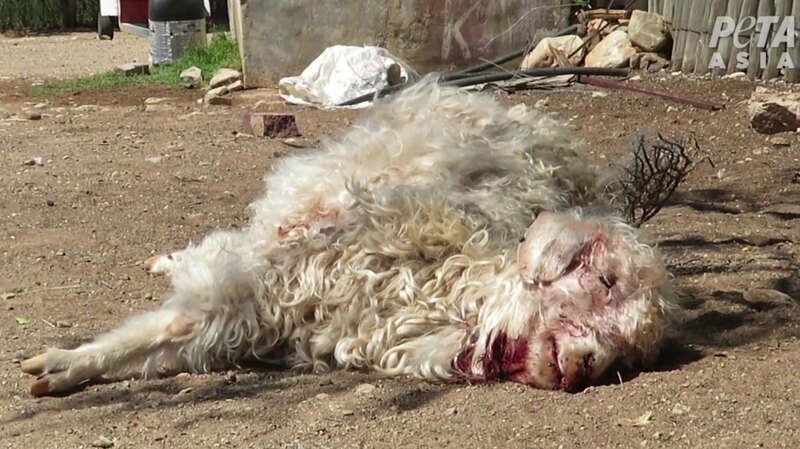 According to vegan organization PETA, its exposé of the mohair industry in South Africa - which is the source of more than 50 per cent of the world's mohair - 'shows shearers working quickly and carelessly, leaving angora goats with gaping wound's. PETA Director, Elisa Allen, said: "PETA's exposé pulled back the curtain on the way in which gentle baby goats cried out in fear and pain as they were shorn for mohair jumpers and scarves. "Diane von Furstenberg has joined the growing list of fashion brands that recognise that today's shoppers don't support cruelty to animals." PETA has asked law-enforcement agencies in South Africa to investigate and file charges, as appropriate, for potential violations of that country's Animals Protection Act, 1962.